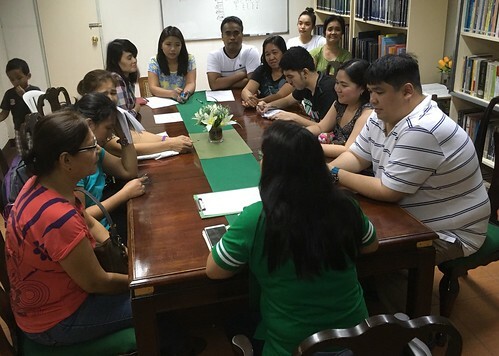 Autism Society Philippines National Trustee and City of San Fernando Pampanga President Ms. Joyla Ofrecia welcomed 13 participants in Family Support Group held in ASP National Headquarters last 17 March 2018. ASPs monthly family support group sessions bring together PWAs, parents, siblings and other family members to talk about their journey in living with autism. Participants share their experiences and draw enlightenment and strength from others going through the same challenges. The group shared struggles and solutions to behavior challenges in children with autism, like wandering and aggression -- as well as their wonderful passions, like painting and bible reading.